2016 for Spain despite crashing out in the round of 16 to Italy. form I’ve shown throughout my career at various clubs. “It’s just about trying to play my normal game and let’s hope that I can help Manchester City to win games. “I think that Pep Guardiola is one of the best managers in the world. 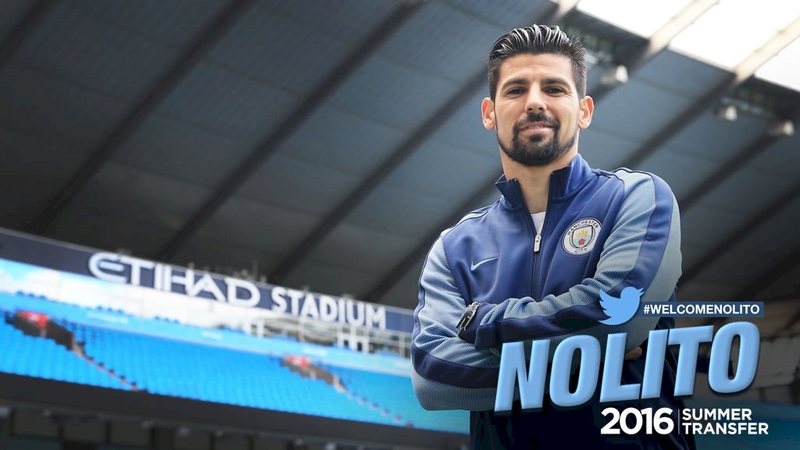 Nolito joins the Citizens from Celta Vigo where he spent three seasons, scoring 39 goals in 103 appearances.